Fly Fish Marco is an inshore and nearshore year-round professional fly fishing and light tackle guide service. Our concentration includes the Big Marco River and its connecting bays and abundant islands, and bridges. We also venture into the 10,000-island fishery and nearshore into the emerald waters of the Gulf of Mexico. 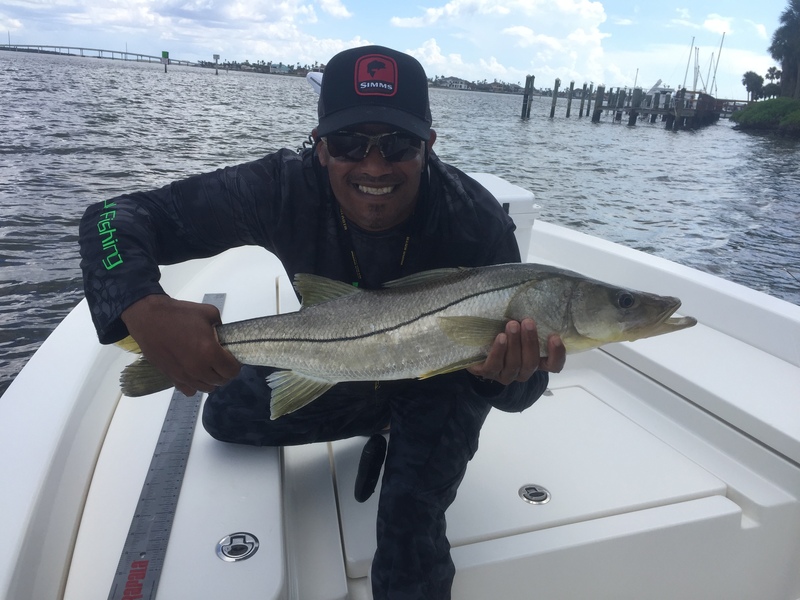 Find Year-Round Tarpon, Snook, & Redfish. 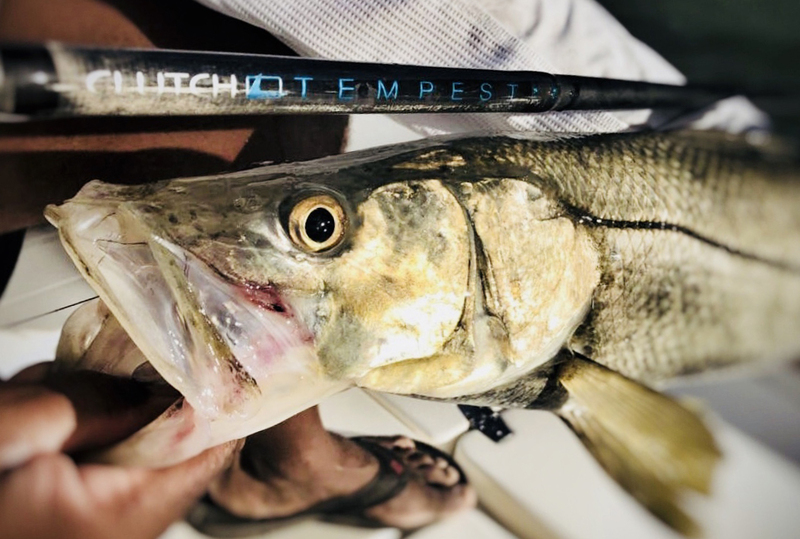 Up and down the Marco Island coastlines, and its connecting bays and islands you will find year-round Tarpon, Snook, and Redfish. These species are always present and will be the focus of our angling attention. During specific times of the year we will have the opportunity to throw at blitzing False Albacore, bonito, and blues. Hooking up on a False Albacore or bonito, is like nothing else. Forty miles per hour on the end of a fly line is not an exaggeration. This is what these speedsters do. Captain Marc Creach is an Ohio Native who has fished most of his entire life. His focus on fly fishing took shape in 1999. While spin fishing for smallmouth bass with his friend Lee Janik (Owner of Clutch Fly Rods), Lee challenged Captain Marc that he would convert him into a fly fisherman. In short, Captain Marc was converted. Since then Marc has fished many well-known great lake tributaries between Michigan and western New York. 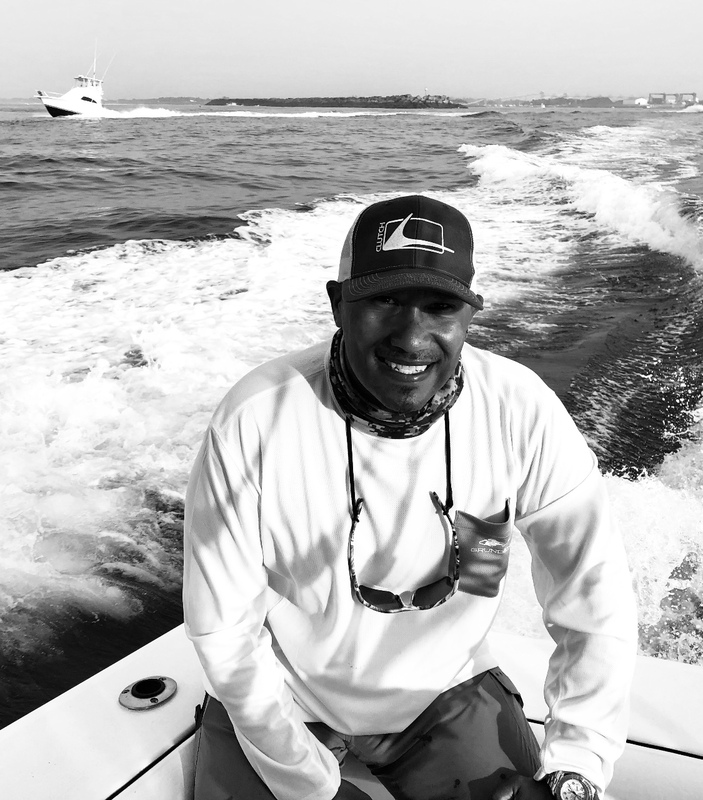 In 2003, Captain Marc’s focus turned to saltwater fly-fishing. He has fished many “bucket list” locations across the United States and some abroad. 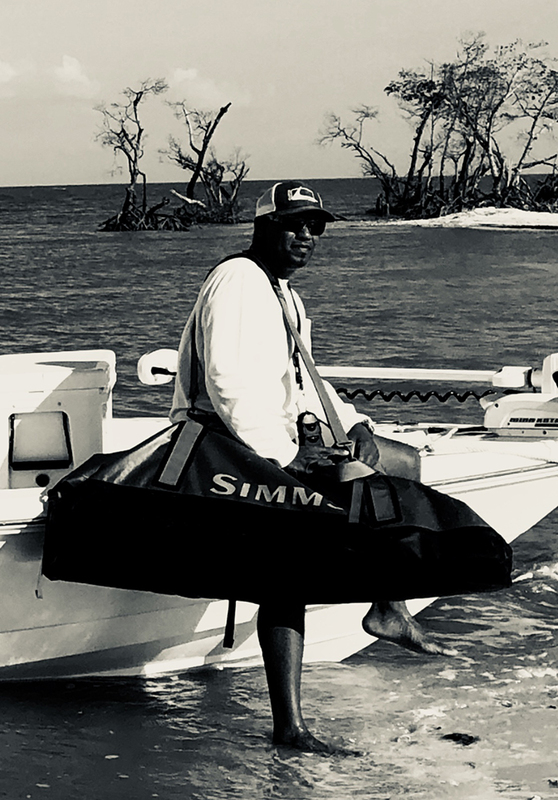 Some of his favorites include the famous Montauk Fall Run for blitzing strippers and False Albacore and the Louisiana Marsh for monster redfish. 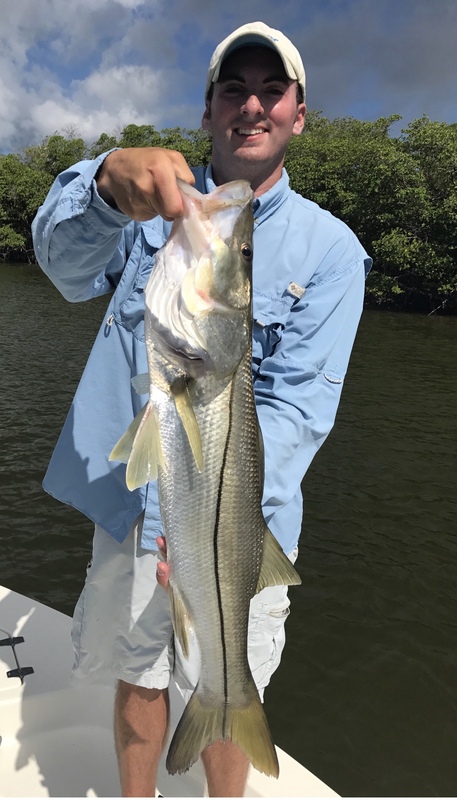 Marc enjoys fly fishing Islamorada in the Florida Keys, Isla Blanca Mexico flats for permit and its jungles for Mangrove Hidden Tarpon. Marc has fished the famous South Bay off of Pelee Island Canada for record setting smallmouth bass. 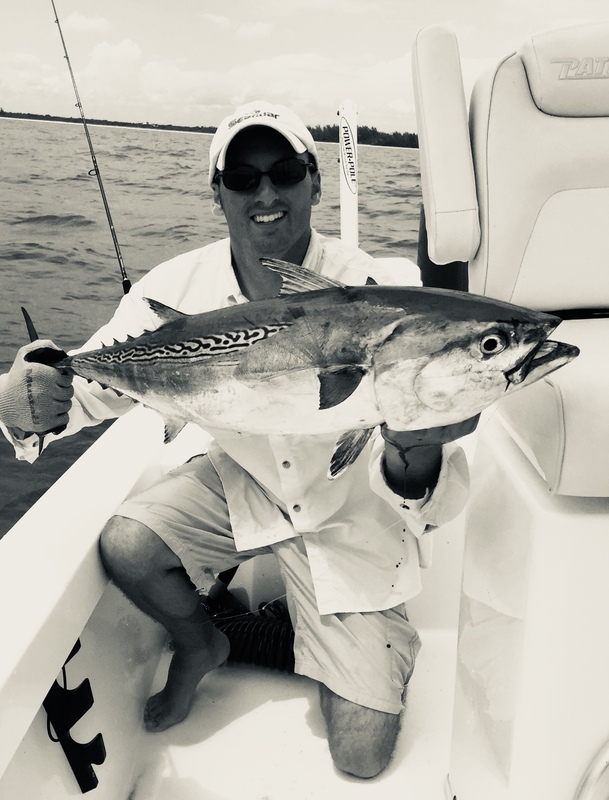 Another, favorite is the Outer banks for False Albacore, and the emerald coast of Panama City to Destin Florida areas for cobia, tarpon and redfish. 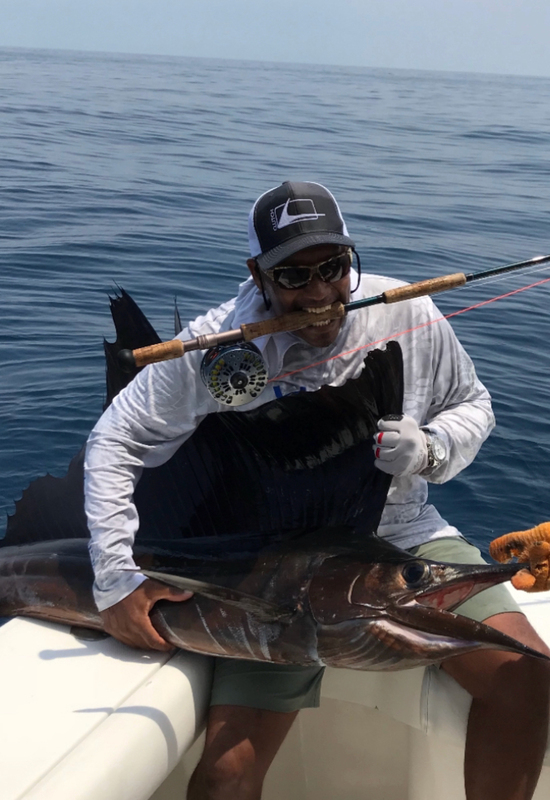 The Mecca of all his trips was fishing for Sailfish in Guatemala. You may have even seen Captain Marc as a guest on the ESPN show Guide House. A ESPN series about fishing guides and their daily grind in Montauk NY during the famous fall run. However, Captain Marc has found his niche in the Marco Island Florida area. He has fished these waters for the past five years and also calls this paradise home. Comfort and high performance with a Yamaha 300 HP that gets us where we need to be safely and in a hurry. The Pathfinder TRS 2400 is one of the finest fishing boats on the water. The boat provides an abundance of room to maneuver. The boat is perfect for two fly casting anglers. 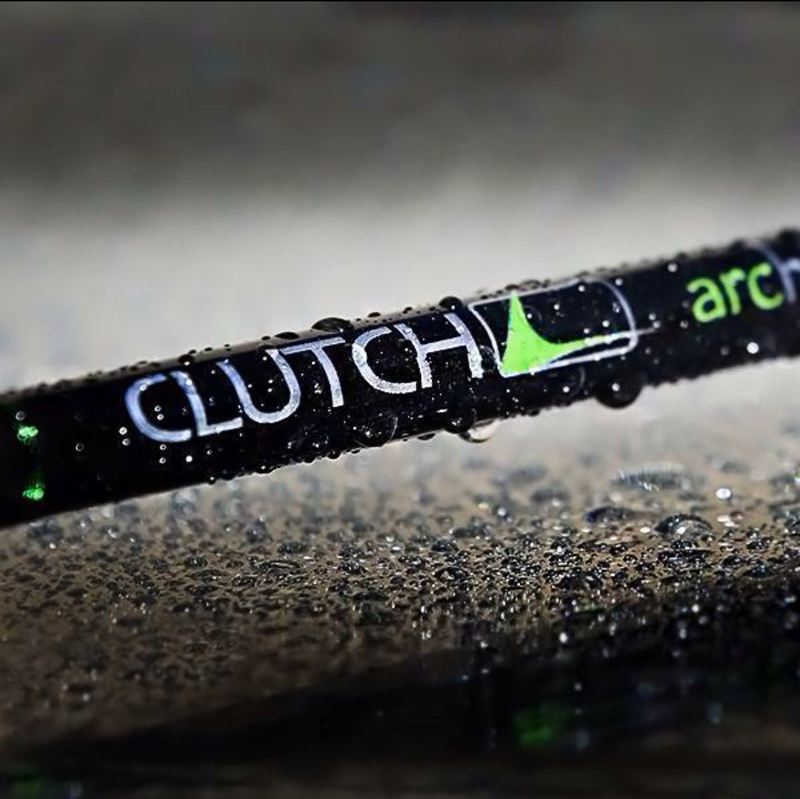 The wide bow, flat decking free of fly line encumbrances allows an angler to take full advantage of his or her fly casting abilities. 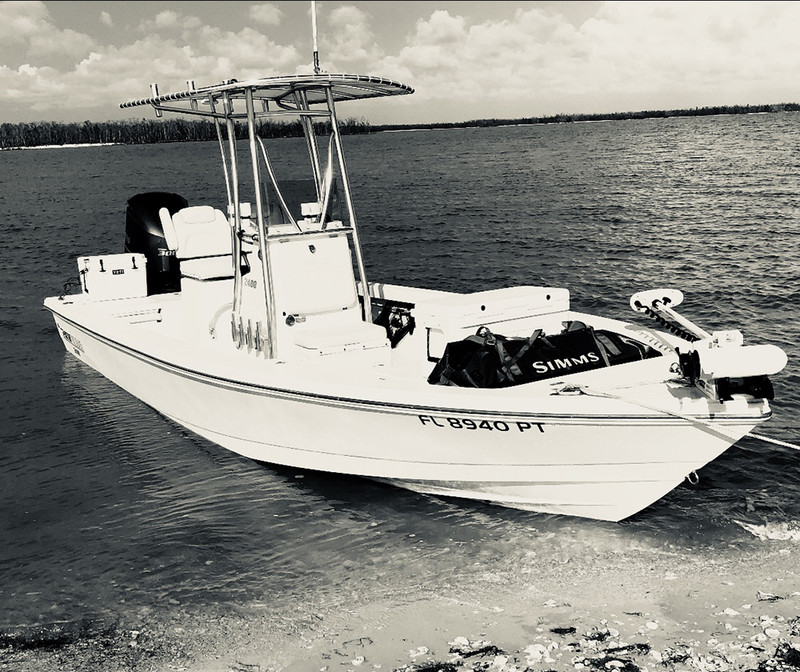 Pathfinders angling legacy shines through with a I-Pilot GPS trolling motor, three live wells, loads of dry storage, power pole anchoring systems, outboard jack plate system, and hull designs crafted for speed and comfort while providing the ability to sneak into bays and shallow waters with stealth. 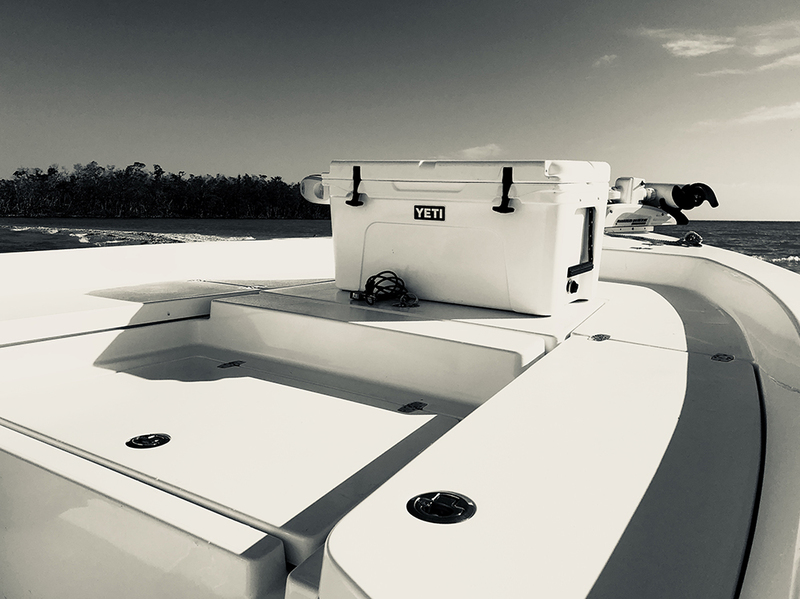 The TRS 2400 is the ultimate bay boat that allows us to fish in 2 ft of water with the abilty to venture nearshore and a few miles offshore into the Gulf of Mexico. Prices are based on two fisherman on our 24 ft. Pathfinder. We provide all Fly Rods and custom tied flies. We also provide inshore spin gear upon request. Please feel free to bring your own personal favorites, flies, secret weapons and any other equipment. 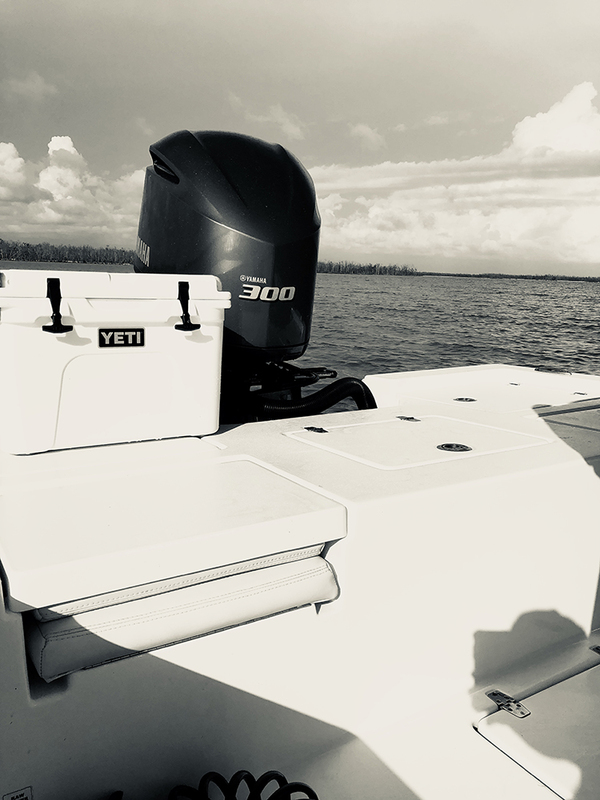 All fuel, on boat ice, and your Florida fishing license for the day will be covered. If you need to cancel, and the cancelation is within 14 calendar days of your trip date, your deposit will not be refunded. This is for obvious reasons. The chances or this date being re-booked in such short notice is bleak. If you cancel outside of this 14-day window your deposit will be refunded. I would hope that you make every effort not to cancel, and if it’s a must, let’s make every attempt to re -schedule your date. Weather cancelations are at the sole discretion of the Captain. Southwest Florida weather can be unpredictable, especially in the summer rainy months. Safety is priority number one always. If unsafe weather is forecasted, we will refund all deposits. We will try and re schedule your day. Booking your day is easy. It requires a $100.00 deposit for a half day trip, and $200.00 for a full day trip. After your initial booking is made, we will hold that date for 7 days until your deposit arrives. Click their logo to see some of their amazing products we use every time we are on the water.